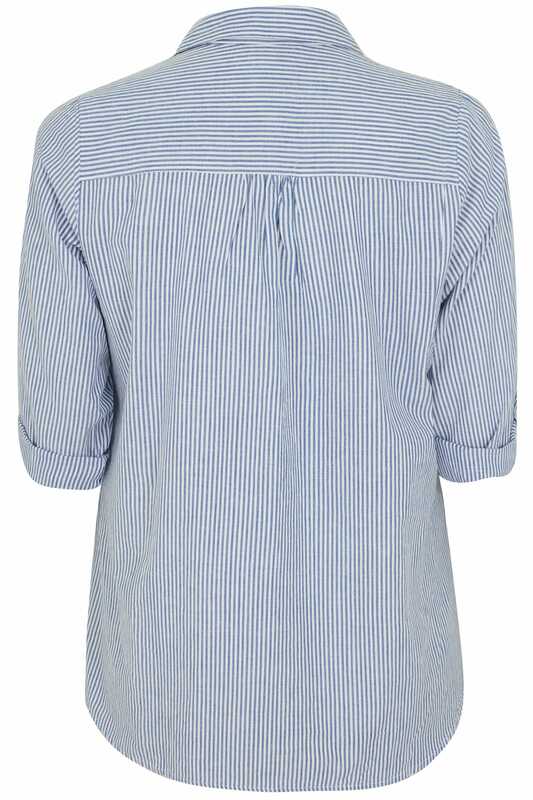 Made from a soft cotton fabric, this pinstripe shirt combines comfort and style. 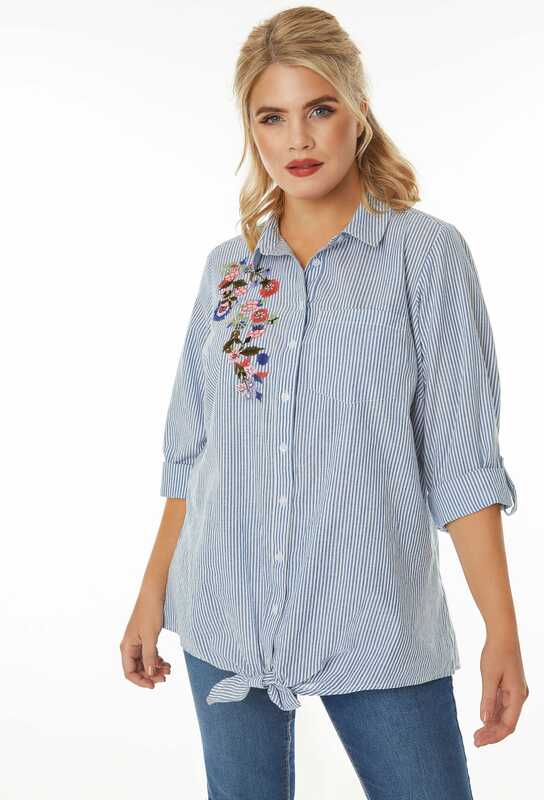 Featuring a floral embroidered patch to the chest and a self tie to the front, it's perfect for adding a touch of interest to your casual look. 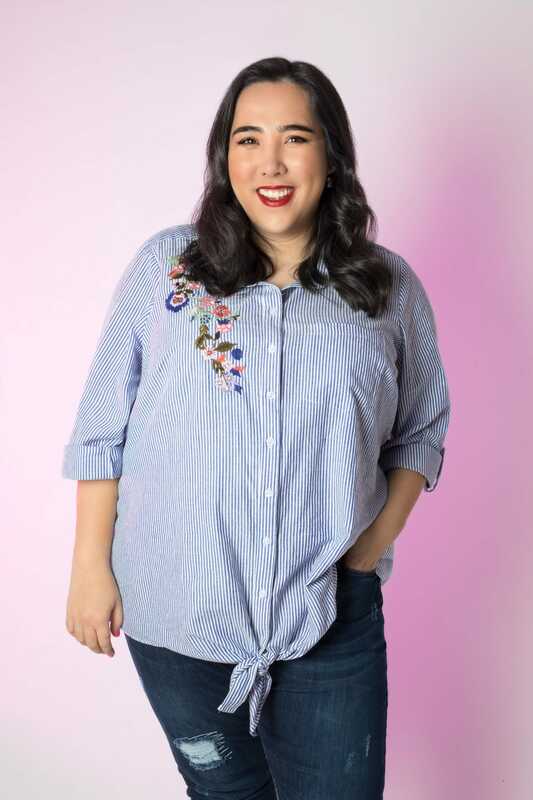 Team with jeans and ankle boots to complete the look. 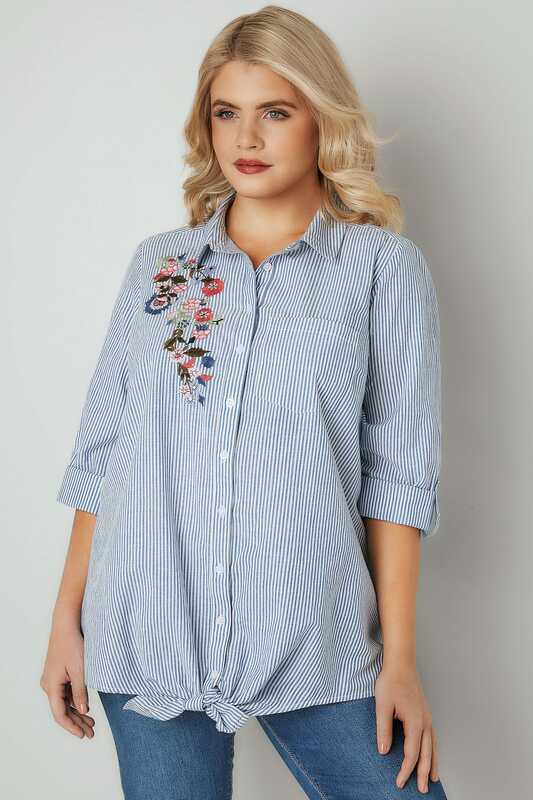 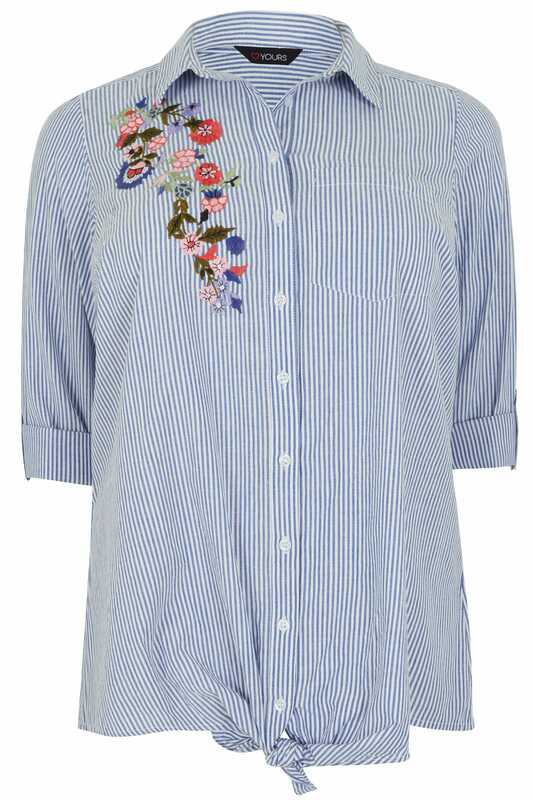 We're loving the stripe and floral combo!